It is a common mistake for users to enter into an outsourcing contract with the assumption that they will automatically be given new or updated technology during the life of the agreement. Unfortunately, unless this is specifically stated in the outsourcing contract, the supplier is not obligated to provide you with upgraded equipment. This can be problematic since advances in technology occur quite quickly. If you are in a situation where your contract does not require the supplier to provide upgrades, there may still be hope. For example, if the supplier is failing to meet certain terms and conditions in the contract, there is likely a provision that works in your favor. Don’t give up hope without having an attorney review your outsourcing contract to determine if you have leverage for a renegotiation of the contract terms. Advances in technology occurring at a fast rate also make it important for you to have exit rights in your contract. However, you must consider that an abrupt termination of the contract could be devastating to your business if you don’t have services during the transition period. Thus, you must create transfer agreements or ensure that alternative arrangements have been made. The most effective thing you can do to protect yourself in outsourcing agreements is to obtain legal counsel early in the process. This is particularly important if the supplier is not being cooperative. A knowledgeable attorney will have subtle ways of negotiating your rights that the supplier will find agreeable. For example, the agreement may allow you the right to conduct an audit which could result in improvements by the supplier. 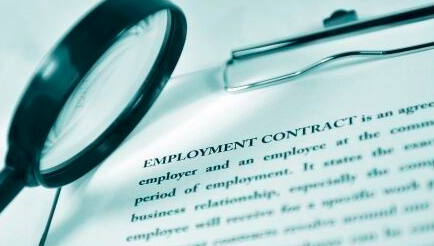 When negotiating and drafting an outsourcing contract, the value of obtaining professional advice is clear. The user has the most leverage during the negotiation process, so it is important to take advantage of it. Once the agreement has been signed and you are “locked in,” the power shifts to the supplier. If you need assistance creating an outsourcing agreement or you have questions regarding your company’s contractual needs, contact Leslie S. Marell for help. We serve as general counsel to clients who do not require, or choose not to employ, a full-time lawyer in-house. Call today to schedule your initial consultation.